Gift for Wine Lover Mum! This is a perfect gift for any hard working Mum, It’s been a long day for Mum and now she needs to put up her feet and relax with a tipple of her medicine to make her feel better. Why not add to her favourite bottle, a Novelty wine bottle stopper. Not only will this amuse Mum but will also keep her wine fresh and fruity for as long as she needs to make her medicine last. Ideal for Mother’s day, Birthdays, Christmas or any hard working Mum that just needs a glass or two at the end of her busy day! Feel free to check our Wine related Gifts as well. 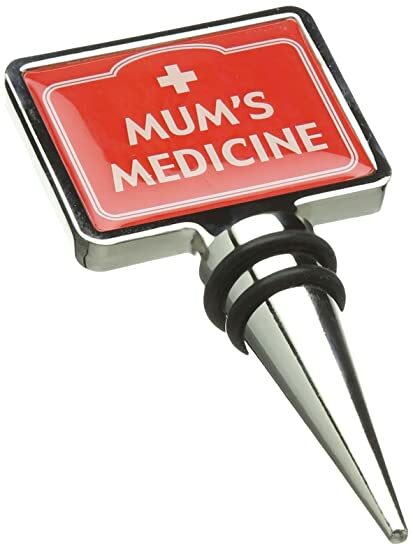 A perfect gift for any hard working Mum, It's been a long day for Mum and now she needs to put up her feet and relax with a tipple of her medicine to make her feel better.